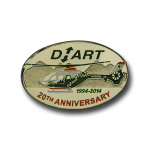 Whatever your design or logo, there is a lapel pin to fit your needs and budget. you’re looking for in a custom pin. Custom Pins is happy to help you choose a custom lapel pin to suit your specific need. We received the pins and they look amazing! Thank you for this excellent job and for all your patience and attention. We are a high end jewelry and watches operation and we needed something that would look remarkable for our sales team. You really met our expectations and we are very pleased. 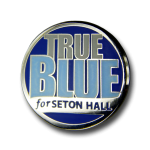 I just wanted to let you know we received the TRUE BLUE pins today and everyone is very happy with them. You all did a great job, and I appreciate your hard work on this. The pins have arrived and they are superb. The detail and weight of the pin is just what we wanted so thank you very much and please pass on our gratitude to your art team for a wonderful product. I look forward to working with you again in the future. The pins arrived today and they are gorgeous! 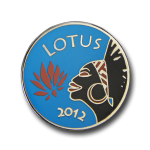 Thanks again to you and everyone there at Custom Pins - it's always a pleasure to work with you and we appreciate 10+ years of beautiful Lotus pins! Thanks, I have to say you guys are top notch and really responsive. 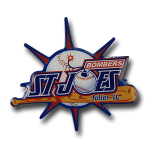 I really appreciate it as it's a big year for us with Cooperstown coming up. 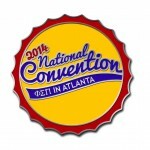 Just wanted to let you know that we absolutely loved the pins for our 2014 National Convention! They were a huge hit with our attendees. We are planning to have pins at our National Conventions going forward and our Centennial Celebration is coming up in 2016 so we would love to design/order pins from you in the future! 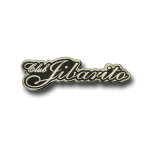 We are not just another pin company. With years of business experience in many fields, our staff understands that a lapel pin is a simple method of communication. We understand branding; we respect logos; we listen to what you say and respond in a personal and professional manner to your questions. Our answers, advice and solutions to creating unique custom lapel pins that fit your specific needs are strictly customer focused. We will not waste your time. This business has been built on honesty, on quality, on individual customer service and above all on a foundation of offering the best overall value on the market. For 200 pins to 200,000 pins, we approach each client’s needs the same way – with respect. Ready to get started? Click the quote button below and let Custom Pins advise, design, price & deliver exactly what you’re looking for in a lapel pin.